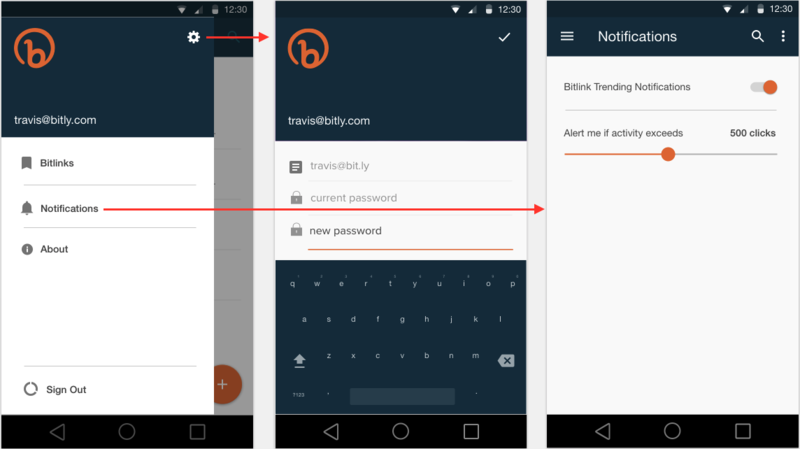 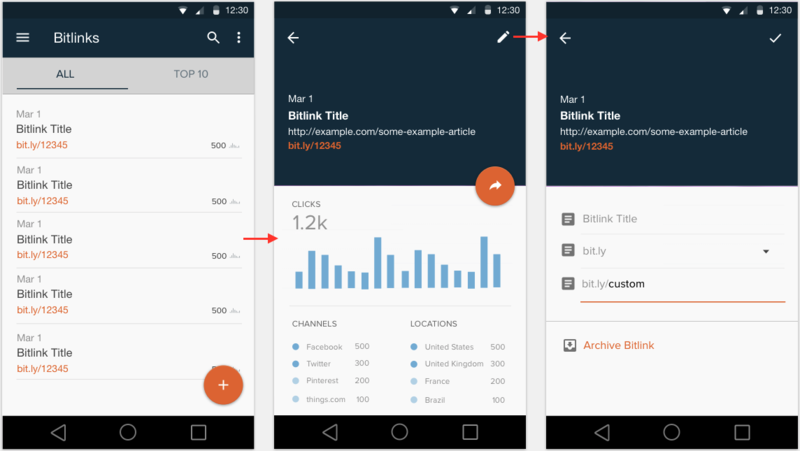 Android App design of Bitly Brand Tools. 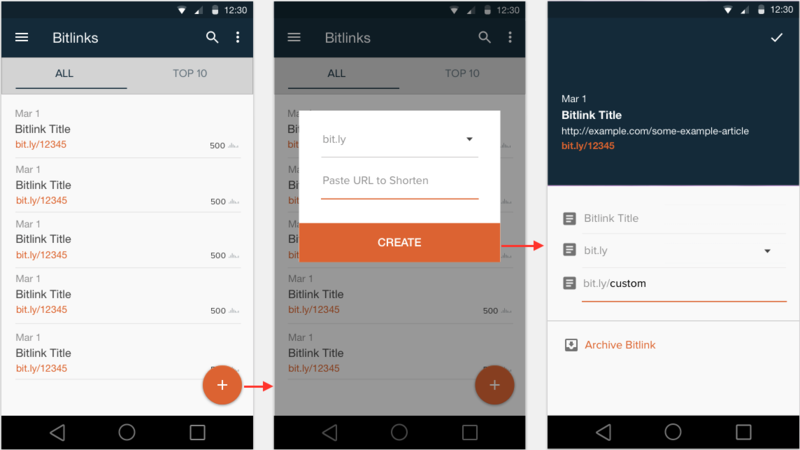 For the mobile interaction the emphasis is on Bitlink creation, management, and notifications. 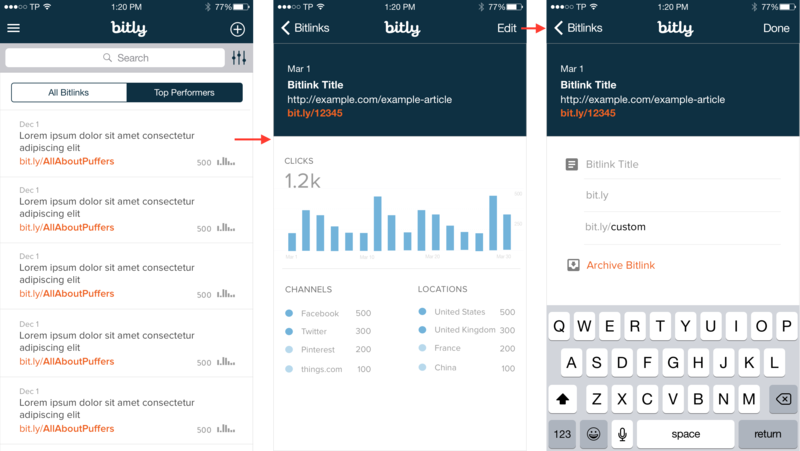 Unlike the desktop version of the product, less emphasis was put on aggregate analytics and robust filtering options. 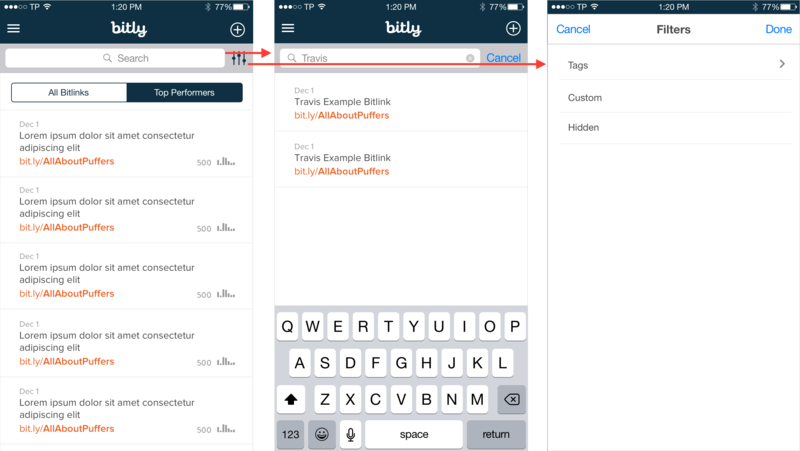 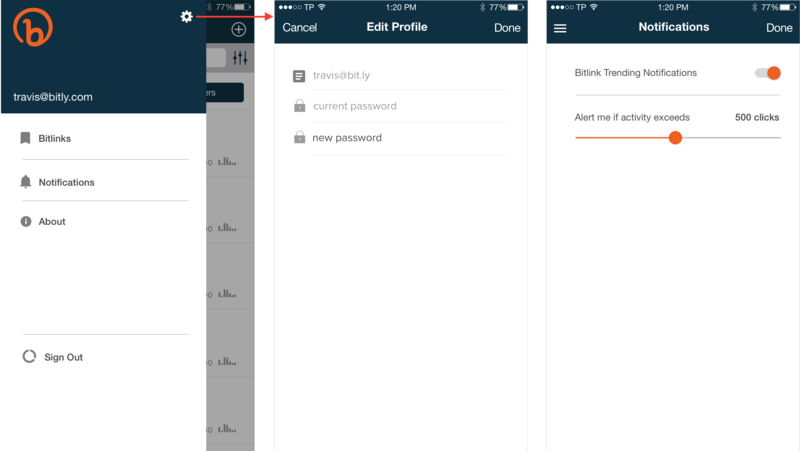 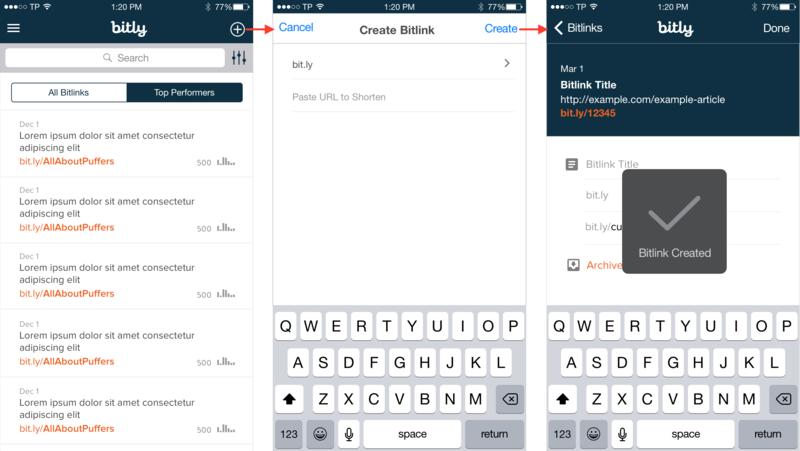 iOS App design of Bitly Brand Tools. 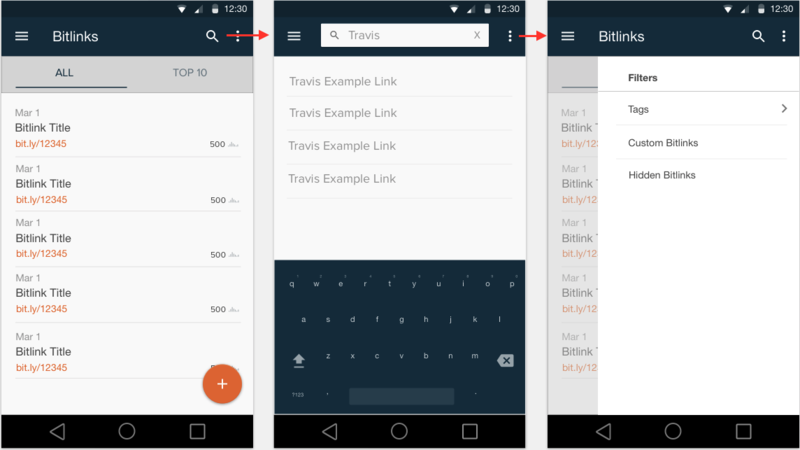 Similar to Android app design but with more conventional iOS UI elements in lieu of Android Material Design elements, particularly regarding Bitlink creation and searching.